Hardy bamboo make fantastic ornamental garden plants. They are also very popular as they are evergreen, easy to grow, and extremely 'pest and disease' resistant. Not only will bamboo provide form, structure and height in the garden, they will also provide a pleasing rustling sound from the slightest breeze. However, you can't just plant any bamboo species in the garden as the majority of them originate from tropical or subtropical regions - primarily East Asia, through to Northern Australia, and west to India and the Himalayas. This is of course fine if you live in a compatible climate, but a note of caution! These tropical bamboo species also include some of the fastest-growing plants on Earth with reported growth rates of 100 cm (39 in) in 24 hours! Of course, many tropical bamboo species will die at or near to freezing temperatures, while some of the hardier or so-called temperate bamboos can actually survive temperatures as low as −29 °C (−20 °F)! Some of the hardiest bamboo species can be grown in places as cold as USDA Plant Hardiness Zones 5–6, although they will typically drop their leaves and may even lose all above-ground growth. Be that as it may, the rhizomes generally survive and send up shoots again in the spring. In milder climates, such as USDA Zone 8 and above, some hardy bamboo may remain fully leafed out year around. There are more than 70 genera of bamboo which are further divided into about 1,450 species. Of these there are little more than a handful of species in common production for garden use. The most significant of which are the golden bamboo - Phyllostachys aurea, and the black bamboo - Phyllostachys nigra. 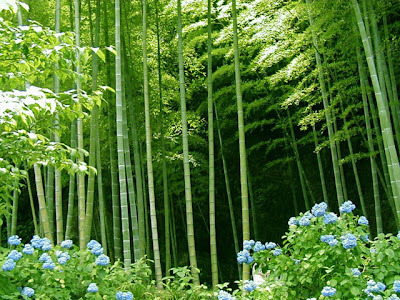 Most bamboos will flourish in full sunlight. This is especially true for giant bamboo. Some tropical species, however, may require some shade during the hottest parts of the day. Surprisingly, shade is the most important during the winter months as this will help to reduce water loss if the soil is frozen. Bamboo are not particularly selective when it comes to soil, but in general, bamboos prefer a slightly acidic to moderately acidic soil. Rocky and/or soggy soils should be avoided. Bamboos have a fairly shallow root system which is surprising when you consider how tall and fast they can grow. Unfortunately this can make bamboo susceptible to wind damage. Not only does wind have the potential to uproot a bamboo plant, but it can also lead to water loss within the plant. Bamboos require a high amount of water and constant winds will dry them out. If you are planting pot grow bamboos then start by digging a hole with the same depth as the container and about twice its width. The most common mistake made is to dig the hole too deep and too narrow. 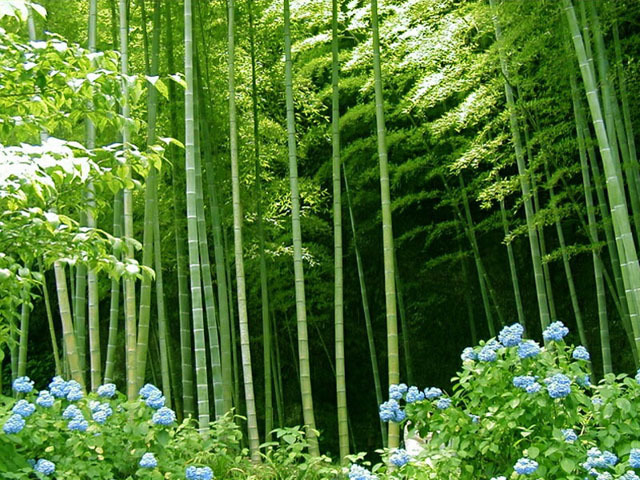 Planting a bamboo too deep or narrow will inhibit the roots ability to absorb oxygen and gather nutrients. Do not disturb the root system when planting as this can inhibit the speed at which the plant can establish itself in the new environment. It is generally advised to avoid using fertiliser or manure during the initial planting, as this too can potentially damage the root system. High levels of nitrogen in a fertiliser can actually burn the young rhizomes. 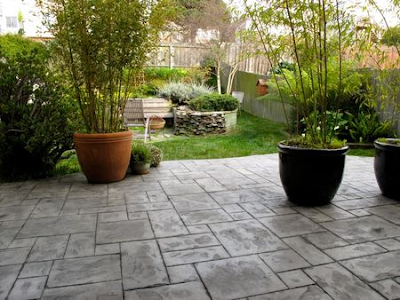 Keep in mind that, bamboos do not grow well in soggy or heavy soils, and if you need to contain the spread of the rhizomes, it may be necessary to install some kind of root barrier. 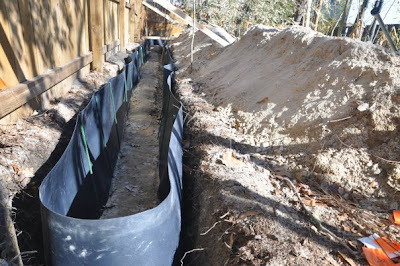 Once the newly planted bamboo is secured in the hole, it is worth testing its stability. You may need to secure it to a suitable point so that strong winds will not be able to knock the plant over while its roots are establishing themselves. Bamboo will thrive best with a regular layer of mulch to protect the roots and rhizomes. The mulch not only serves as protection from pests and weeds, it will also help to retain water and providing nutrients. Ornamental and garden bamboos require a regular watering schedule, and cannot rely completely on rain water. While bamboo like to dry out after watering, too much or too little water can be harmful to the bamboo- a common problem with pot grown bamboo . Newly planted specimens should be watered at least twice a week in their ideal weather conditions. In areas with warm temperatures or frequent wind, the bamboo may require water up to 5 times a week or even up to every day. As the grower, you will need to make a judgement call on watering frequency by examining the leaves and soil. Be aware that bamboo leaves will start to curl inwards if they are not receiving enough water which is a natural mechanism used by the plant to protect itself against drought. Bamboo's grown in container is vulnerable to over watering, and it is common for gardeners to unknowingly water-log the plant. This can lead to rotting of the rhizomes and roots, and can even kill the entire plant. 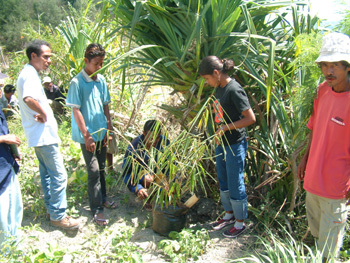 After your bamboo plant is established, it is recommended to fertilise it regularly. An organic fertiliser high in nitrogen is ideal, alternatively mulch with a good layer of well rotted farm manure. Pruning bamboo on a regular basis is usually not necessary and is usually done only for aesthetics. 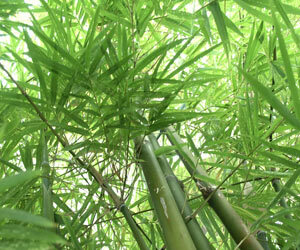 Culms - bamboo stems - will generally live up to ten years, but can start to dry out and look unattractive later in life. Older culms will compete for light and nutrients with the younger culms and allowing them to live will lessen the overall beauty of the entire clump or grove. This is done by cutting off old culms at soil level. With those bamboo species that display an aggressive spreading habit, there are several methods that can we employed to control them. The most common tactic is to install a rhizome barrier around the growing area. Depending on the area, installation of a rhizome barrier can be a difficult or impossible task. The most simple and cost effective method of controlling bamboo is to prune the rhizomes on a regular basis. Rhizome pruning is a seasonal task, normally done in late autumn through to spring. As new rhizomes emerge from the soil, a sharp garden spade can be used to sever the rhizomes as they travel beneath the ground. Start by marking out the desired perimeter to which the bamboo should be confined. Next, plunge the spade as deep as possible into the soil along this perimeter. This will cut the rhizomes in the area and limit their growth for the remainder of the season. This must be done at least once per year in order to work effectively.